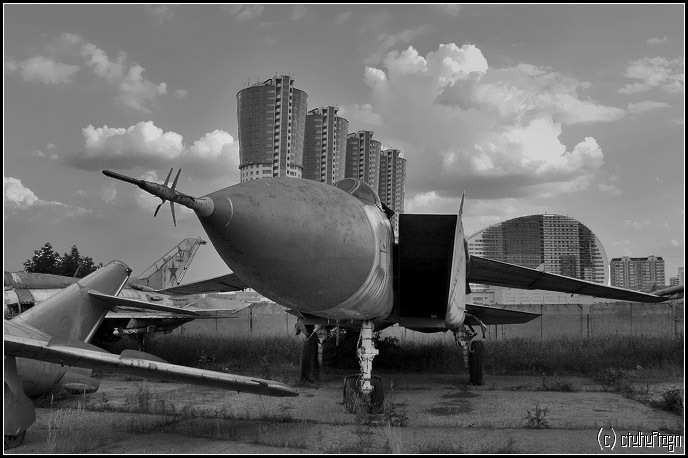 These are photos of old Russian planes that stand in the city and surrounded now with construction sites and already built multi-stored houses. then it got depressing with the ugly buildings being built all around it. the gov should step in and say only cool buildings allowed!!! Does anyone know the location where these photos were taken? Like my American comrade from Kansas, I’d like to know too where these particular photos were taken. I found the graveyard on google earth. South Moscow with airport sign of CENTRAL. look for colorful round building. It is definately the place cause you can see the shadow of the curved building. So what would you call the boneyard at Davis-Monthan Air Force Base near Tuson? I call it wasted $ billions. Another bitter fact. 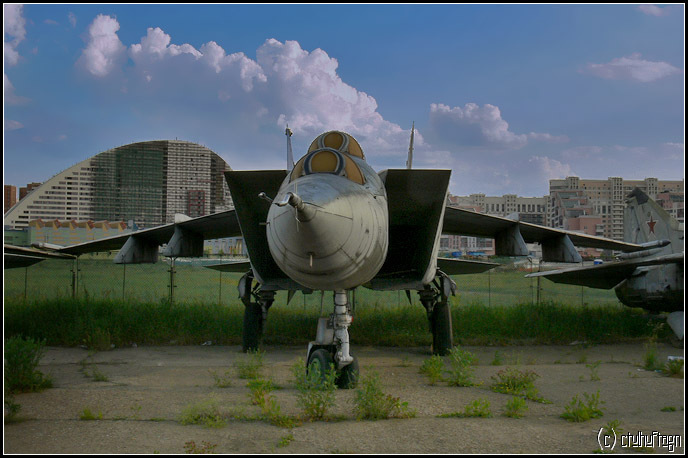 This is a graveyard, and the planes that are rotting there are just so old that there is no sense in conservation (museums are full of those anyway). 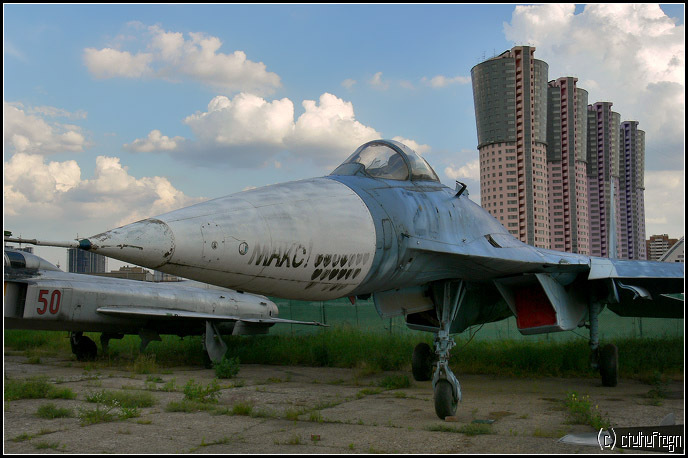 You have Mig 15, Mig 21, very old Sukhoi planes, a few old Mi helicopters models… None of those models are today in service with the army. 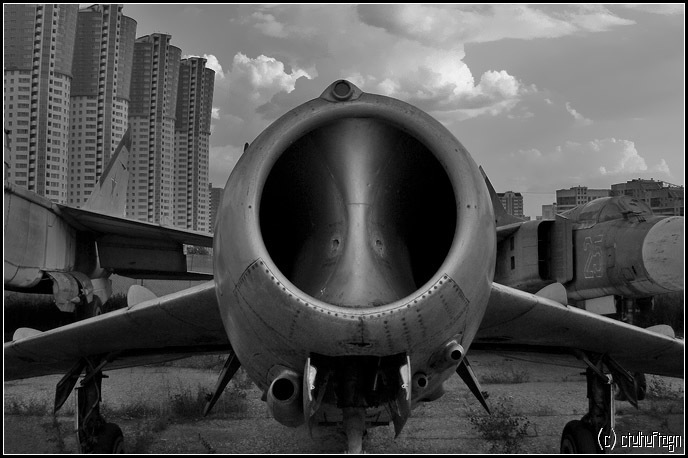 Their glorious days are left in the late 50-s to late 70-s, today’s Russian Air Force uses much more advanced and technologically superior planes. Oh, and when you speak about the ageing nuclear weapons, it really shows how uninformed you are about the real condition of the nuclear weaponry. Don’t believe every single word you hear on CNN, it’s bad for your brain cells. 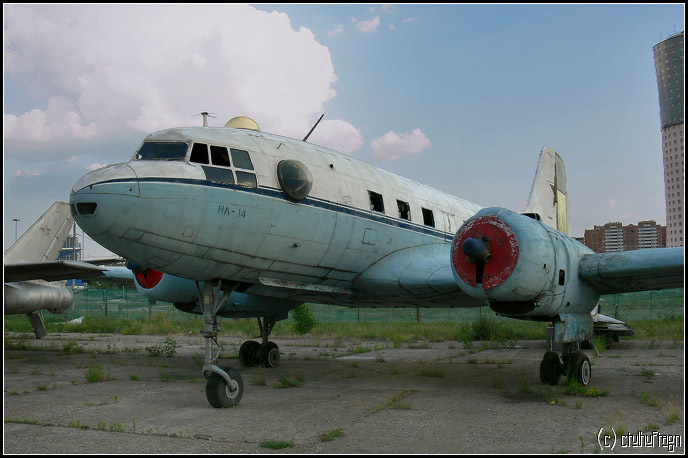 These aircraft should be restored and preserved. 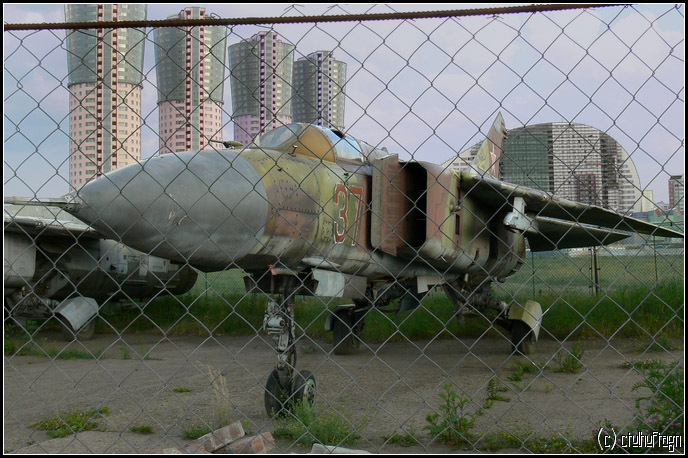 Its an aircraft museum in the south of moscow, the planes in these shots are ones deamed too damaged or being restored. Is it possible to get higher resolution ones? Is there a link available? Nice surrealistic photos! reminds me of S.T.A.L.K.E.R engine. Are these pics taken in and around Moscow? What’s access like? 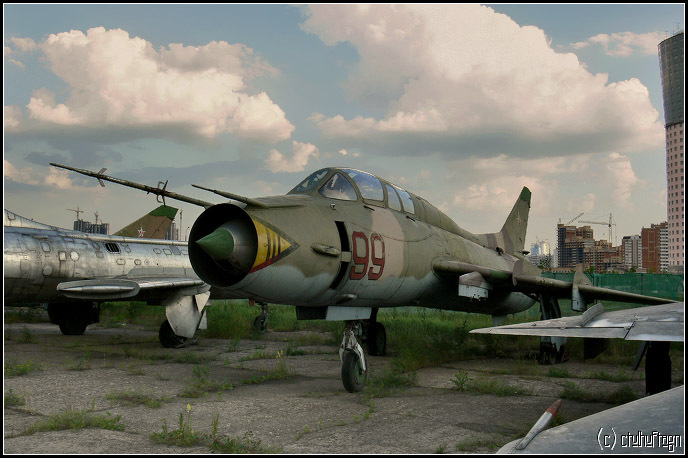 I would gladly purchase a couple of the Mig 21s and restore them if only someone will tell me how to obtain them. Just wanted to add my 2 cents worth on this very interesting topic. What may now be considered as a colossal waste of money was, back then, considered to be extremely essential policy. The reason this place and Davis-Monthan Air Force Base has row upon row of neglected aircraft is that both sides saw a need to equip themselves as such. 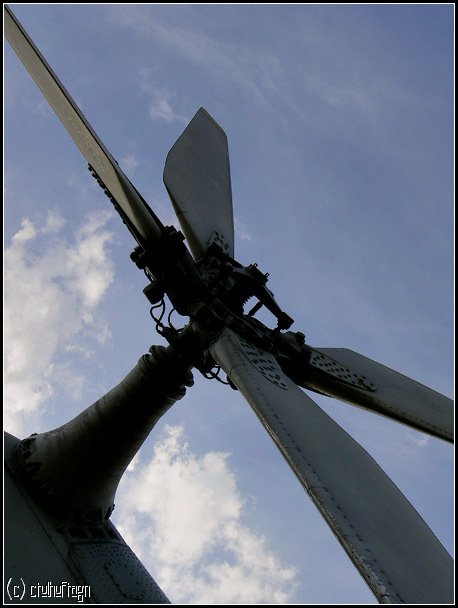 And as with all things, aircraft age and deteriorate. But these old planes can live again; one need only look at The Motoart Shop to see what can be done with various aircraft bits and pieces. If the right parties could have access to these places the possibilities could be endless….. Thank you Aviapics for sharing your photos. Was there anything unattached left inside any of them? 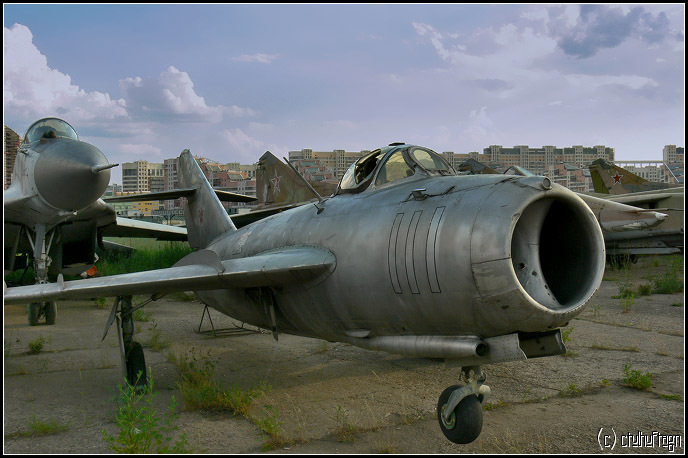 i am agree with the above comment” These planes must be preserved “. i play around this planes[and radar instalation and etc] in cheldhood. but exact location… i dont think so.